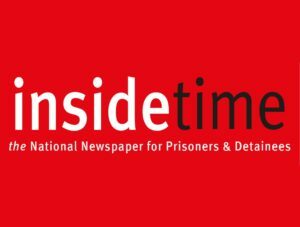 The winner of the 2018 Pinter Poem award – chosen from those submitted throughout the year to Inside Time, the national newspaper for prisoners, is “Exercise Yard” by Mike Nicholls at HMP Dartmoor. 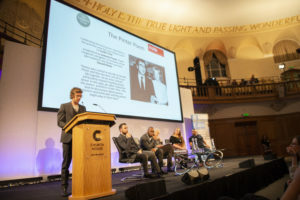 It was read as the closing act of the 2018 Longford Lecture by actor Harry Treadaway. Read the winning entry. The Pinter Poem will be chosen on behalf of the Longford Trust each year from those published in Inside Time over the previous 12 months. The winner will be notified before his or her poem is read at the annual Longford Lecture in November, and they will receive prize money of £100. Read the poem that inspired Antonia here.